According to the manager of Ferðafélag Íslands – The Iceland Touring Club that owns and operates several mountain huts along the Laugavegur Hiking Trail, - by far the most popular hiking trail in the Icelandic highlands, all accommodation in the huts is already fully booked this summer. 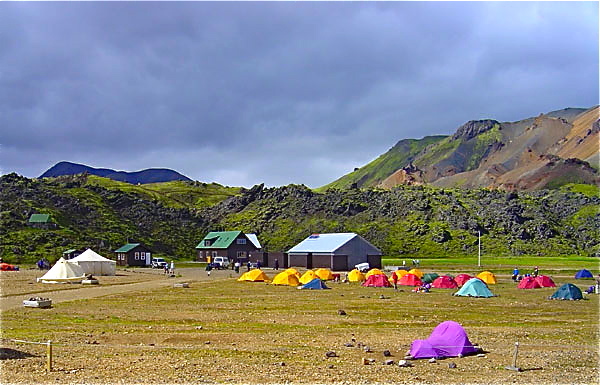 The club owns five huts along the Laugavegur Trail, at Landmannalaugar, Hrafntinnusker, Álftavatn, at Emstrur and Skagfjörðsskáli in Thorsmork. Each mountain hut has a capacity for 60 -75 people each night. Same applies to many other mountain huts that the club owns in other parts of the central highlands during the summer of 2013, - everything is currently booking up fast. In the last 4 – 5 years, there has been a great increase in the number of groups that wish to hike the Laugavegur trail and they have never before seen such a great demand as for the summer of 2013. Hotels and guesthouses in Iceland can tell a similar story. Many hotels and guesthouse in Iceland are already fully booked at many dates in June, July and August and it has already become difficult to find vacancies.